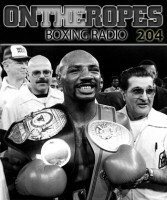 “On The Ropes” Boxing Radio makes its return this week with host Jenna J to discuss all the recent fights and fight news in the sport. In this episode I will be recapping the Premier Boxing Champions card on Spike TV which featured a welterweight shootout between former champ, Amir ‘King’ Khan and Chris Algieri. I will talk about the performance of both fighters and what their future holds, especially Amir Khan, who is campaigning to be the next fighter to take on Floyd Mayweather. Also on the show, I will be taking about Kell Brook’s win over Frankie Gavin and Anthony Joshua’s two round mauling of Kevin Johnson. Lastly, I will be previewing the fight action that is in store this weekend, including Miguel Cotto’s return as he takes on former middleweight champ, Daniel ‘Real Deal’ Geale, and Robert Guerrero’s bout with Aron Martinez. Just click on the audio player to listen to the show! The first guest on this episode is renowned British trainer, Peter Fury, to talk about the possibility of his nephew, Tyson Fury, being the next in line to fight reigning IBO/WBA/IBF/RING champion Wladimir Klitschko in the fall. Peter speaks about the road to Tyson’s title shot and what he expects to see in the fight. Fury also speaks about training Kevin Johnson for Anthony Joshua and what he thinks the future holds for both Johnson and Joshua. Additionally, Peter shares his views on Amir Khan potentially getting a fight with Floyd Mayweather, and also how he believe Khan would do in that bout. 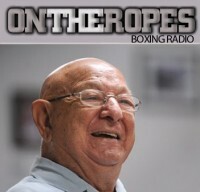 The second guest on this week’s program is vice president of Compubox and the founder of ThrowdownFantasy.com, Nic Canobbio. 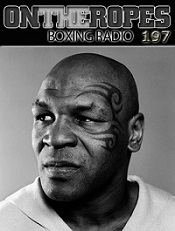 Nic talks about his fantasy boxing league and how you can join and play to win big cash prizes. Nic also discusses the recent fight boom in the sport and how that helped pave the way for this new fantasy boxing site. Lastly, Canobbio talks about Compubox and people’s common misconceptions about the punch scoring system, and the backlash faced after Manny Pacquiao’s loss to Floyd Mayweather. 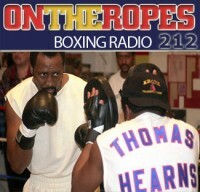 The main guest on this show is former undisputed light heavyweight champ and current commentator, Antonio ‘Magic Man’ Tarver. Having recently called the action in the Khan-Algieri fight, Tarver breaks down his overall feelings on the bout and if he feels Amir did enough to draw Floyd Mayweather’s attention. ‘Magic Man’ speaks about his future in boxing and where he hopes to go after his KO win over Johnathon Banks late last year. Lastly, Tarver talks about the recent bout between Floyd Mayweather and Manny Pacquiao. 4 Responses to "Antonio Tarver on Amir Khan’s future, a title shot & Mayweather vs. Pacquiao II. 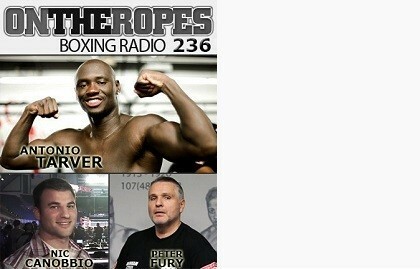 Also with Peter Fury & Compubox VP Nic Canobbio – OTR #236"
Stats are good, but Compubox IS wrong sometimes. I watched the Pacquiao fight with Mayweather 6 times and I watched it two of those times in slow mo. MAYWEATHER LANDED LESS THEN IT SAID! TARVER IS NOT A REAL HEAVYWEIGHT. FIGHT SOMEONE THAT IS NOT THE TRAINER OF WLADDY PIE. YOU KILLED MIKEY, BUT YOU CAN’T HANDLE A REAL HEAVYWEIGHT. Khan does not deserve a mayweather fight, at all. I think he only gets it because he looked so terrible. Mayweather will knock him out! Amir is an arrogAnt fighter. He thinks that he’s talented enough to beat the top dogs of boxing. He wants to fight Mayweather but he passes by Thurman, Brook and Maidana. 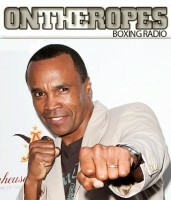 He must fight Garcia first in a welterweight rematch showdown to strenghten his claim. Algeiri has him wobbled recently so Khan has a jaw problem!